Data presented at the Seventh Joint European Committee for Treatment and Research in Multiple Sclerosis (ECTRIMS) – Americas Committee for Treatment and Research in Multiple Sclerosis (ACTRIMS) Meeting in Paris highlight clinical advances concerning underlying disease activity and disability progression in relapsing and progressive forms of multiple sclerosis (MS). In a post hoc analysis of more than 1,600 patients from the OPERA I and OPERA II trials comparing ocrelizumab (Ocrevus, Genentech) to interferon-beta 1a (Rebif, EMD Serono), investigators noted that ocrelizumab significantly reduced the proportion of people with relapsing MS who experienced Progression Independent of Relapse Activity (PIRA), a new endpoint that is intended to separate relapse activity from underlying activity and measure disability. 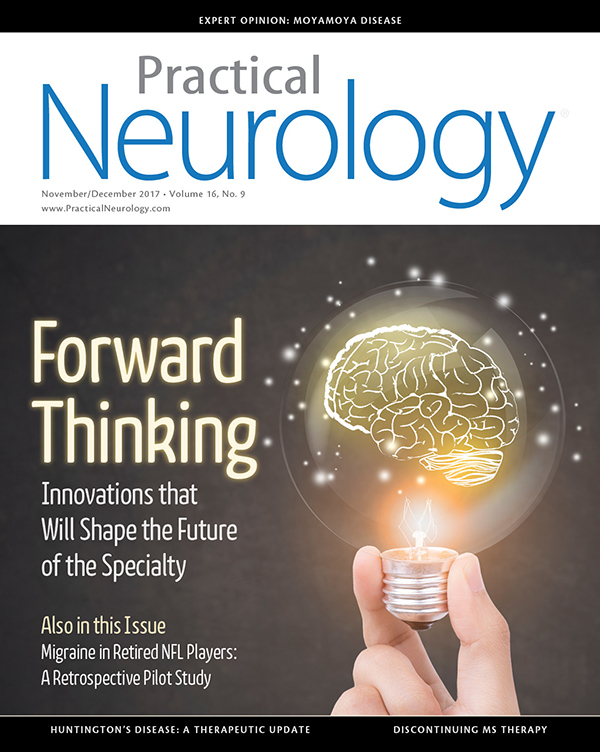 “Patients who have disease progression have disability that’s irreversible, and PIRA is a way to measure that,” said Hideki Garren, MD, Group Medical Director for ocrelizumab, in an interview with Practical Neurology® magazine. Specifically, ocrelizumab reduced the risk of PIRA by 25 percent and 23 percent confirmed at 12 and 24 weeks, respectively. The reduction of PIRA in patients treated with ocrelizumab was particularly evident in those at higher risk of progressive disease course. Dr. Garren further noted that PIRA represents an effective way to understand the impact of disease progression and disability on quality of life. Another presentation highlighting underlying disease activity showed that a new MRI-based algorithm may be a possible biomarker to detect Slowly Evolving Lesions (SELs). “What we see particularly in patients with progressive disease is that lesions continue to expand, and this data shows how this algorithm using traditional MRI can detect these SELs and also gain a better look and understanding of the underlying progression of disease,” Dr. Garren explained. Genentech also shared data from its ongoing FLOODLIGHT clinical trial program, which assesses sensor-based outcomes through the use of a smartphone from a series of active neurological tests and passive monitoring. “Using an advanced algorithm to mine data, the passive testing of hand/arm function allows us to potentially measure underlying disease progression without the patient even knowing,” Dr. Garren observed. The FLOODLIGHT program also includes an active testing element, which consists of specifically designed smartphone tests that patients take once daily that provide real-world feedback and increase understanding of underlying disease progression. According to Dr. Garren, Genentech unveiled the technology for the first time at ECTRIMS-ACTRIMS and will continue data collection with the goal to validate in the near future. Alkermes presented safety and gastrointestinal (GI) tolerability data from EVOLVE-MS-1, an ongoing open-label, two-year Phase 3 safety study for ALKS 8700, a novel, oral monomethyl fumarate prodrug candidate in development for the treatment of relapsing multiple sclerosis. The study evaluated more than 570 patients at one and three months of treatment with ALKS 8700, in which safety data from the first month showed that treatment with ALKS 8700 was associated with low rates of GI adverse events (AEs) leading to discontinuation (0.5%) and no occurrence of serious GI AEs. The most common AEs during the first month of treatment with ALKS 8700 were flushing (31.7%), pruritus (7.4%), and diarrhea (6.6%). Data from the initial three months of treatment in the study support and extend the safety profile for ALKS 8700, with 2.3% of patients reporting serious AEs, and 3.7% experiencing AEs that led to study discontinuation. The company expects to unveil additional data in early 2018 comparing ALKS 8700 to dimethyl fumurate (Tecfidera, Biogen). Cladribine tablets (EMD Serono) significantly increase the proportion of patients with relapsing MS in high disease activity subgroups with no evidence of disease activity compared with placebo (43.7% vs. 8.7%). Late-breaking safety analyses, including patients with up to eight-years follow-up from oral monotherapy cohorts (3.5mg/kg), reinforce the safety conclusions of an earlier meta-analysis. Additionally, an analysis of T-lymphocyte subpopulations from the ORACLE-MS study demonstrated changes that occur in the adaptive immune system following treatment with cladribine tablets. Results from the Phase 2 SYNERGY trial suggest that investigational opicinumab (Biogen) could have an increased clinical effect in patients with relapsing MS who had the disease for shorter periods of time. The data also showed that the first-in-class monoclonal antibody directed against LINGO-1 may be beneficial in patients whose MRI results show certain brain features that suggest repair of MS lesions may be possible through remyelination. Biogen also initiated its Phase 2 clinical trial AFFINITY to evaluate opicinumab as an investigational add-on therapy in people with relapsing MS. The primary endpoint, Overall Response Score, is an integrated measure of both the improvement and worsening of disability over time. Based on results of a novel meta-analysis of all induced pluripotent stem cells, researchers have created an atlas of how cell characteristic in neurological and neurodegenerative diseases are linked to their genotype. In a study published online in EMBO Molecular Medicine (E-pub October 19), investigators collected data from 93 studies on phenotypes and genotypes, encompassing 31 neurological diseases that span the pediatric to adult population with a total of 71 gene mutations. Analyzing the correlation of 663 neuronal phenotypes with genotypic data from 243 patients and 214 controls, they found that there is no established standard for the reporting of methods nor a defined minimal number of cell lines. The FDA approved a label extension for Vimpat (lacosamide, UCB) CV as an oral option for the treatment of partial-onset seizures in pediatric patients four years and older. The expanded indication is based on extrapolation of its efficacy data from adults to children and is supported by safety and pharmacokinetics data collected in children, according to the company. Data suggest that adverse reactions to oral Vimpat in pediatric patients are similar to those seen in adult patients. Vimpat injection has not been established in pediatric patients and is only indicated for the treatment of partial-onset seizures in patients 17 years of age and older. Read more about recent FDA actions—including the approval of a next-generation VNS System and the fast-tracking of Alzheon’s investigational Alzeihemer’s disease agent—in our Therapeutic Year in Review. The authors developed a taxonomy of central nervous system cellular phenotypes in vitro from the retrospective analysis of the published literature, which revealed that there are previously unrelated genes that show similar disease phenotypes. The analysis also showed that alterations in patient-derived cells at the level of gene expression correlate with the reported cellular phenotypes, and these dysregulated genes are highly expressed in specific regions of disease in the brain. The authors developed the iPhemap, an online database of phenotypic information of iPSC neurological diseases, that can be referenced, updated, and continually refined by researchers worldwide. Corrona, LLC and the National Multiple Sclerosis Society will collaborate on the launch of the Corrona MS Registry to study the comparative safety and effectiveness of approved MS therapies. The observational registry will collect and analyze longitudinal outcomes associated with multiple sclerosis therapies via questionnaires, physician assessments, and patient-reported outcomes. The first patient has been enrolled, with initial recruitment goals to register approximately 5,000 individuals with MS.
Corrona’s collaboration with the National MS Society builds upon its successful ongoing collaboration for its psoriasis registry with dermatologists and the National Psoriasis Foundation. To learn more about the Corrona Multiple Sclerosis Registry and how to participate, visit Corrona.org/registries/us-multiple-sclerosis-ms-registry. The National Institute on Disability, Independent Living and Rehabilitation Research (NIDILRR) has awarded the Icahn School of Medicine at Mount Sinai’s Department of Rehabilitation Medicine and the Brain Injury Research Center a five-year grant totaling $2.2 million to fund the New York Traumatic Brain Injury Model System at Mount Sinai to study TBI. The grant will fund the work of researchers who will contribute to the largest study of TBI outcomes in the world, curated by the NIDILRR-funded TBI Model Systems National Data and Statistical Center. Together, the TBI Model Systems have enrolled more than 15,000 individuals with TBI and followed them for up to 25 years. 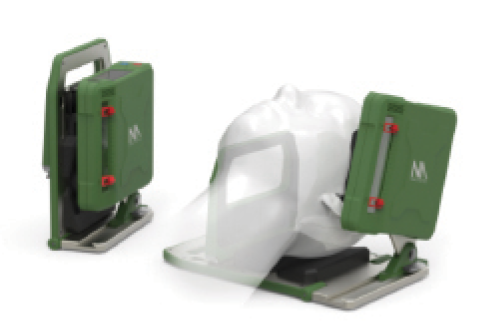 The Brain Injury Research Center at Mount Sinai will test the effectiveness of an internet-delivered neurobehavioral intervention to improve emotional regulation after TBI and will continue its research on the long-term neurocognitive effects of TBI. The New York TBI Model System also provides resources to individuals with TBI, their families, health care providers, and the general public.